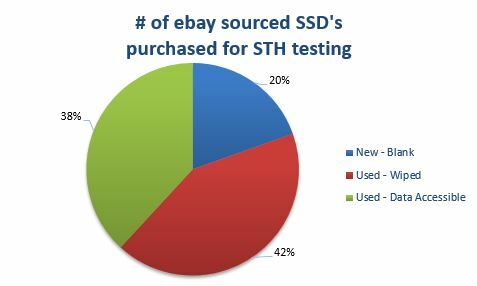 We have now purchased 97 used datacenter SSD devices for our SSD testing series all through ebay. 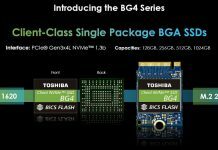 The reasoning is simple, datacenter SSDs typically features higher endurance ratings, more consistent performance, solid firmware and the SAS SSDs we purchased feature dual port SAS interfaces for HA applications (something that consumer SATA drives cannot do.) There are many architectures that one will want these types of drives (e.g. Microsoft Clustered Storage Spaces.) Other times, one may want drives with several PB endurance ratings for large ZIL drives. Either way, spending several $/GB which is typical for SAS SSDs can be hard on the wallet. 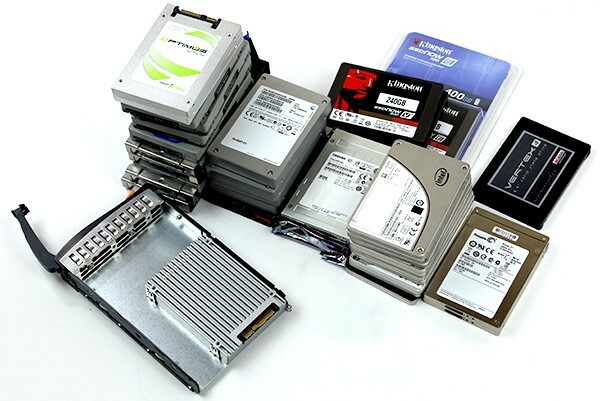 We have been exploring buying used SAS and datacenter focused SATA SSDs for some time now and put together this buyer’s guide. Consumer drives have an often thriving new/ used market but servers often come with many SSDs that are resold on the secondary market. While having lower write endurance figures, consumer drives also oftentimes benefit from lighter workloads. Scott @ the TechReport has an awesome series on consumer SSD endurance which shows that higher-quality consumer drives have the potential to last well beyond their rated lifespans. Suffice to say, higher capacity NAND, higher binned-NAND and often more out-of-the box overprovisioning helps datacenter drives carry higher endurance ratings. Oftentimes, these datacenter SSDs head to the seacondary market because they were purchased for testing but were not validated in an environment. Other times, they are replaced for newer, faster, higher capacity drives after being purchased at steep discounts with servers. As a point of reference, over the 78 used drives we have received to date from ebay, the average writes to drives has been under 3TB and the maximum 10.5TB for the drives with SMART data we could decipher. Many of the drives feature 7PBW+ ratings so even our maximum is extremely low. Merits of buying used datacenter SSDs aside, we have put some thoughts together regarding buying used datacenter focused SSDs and made a Buyer’s Guide on the topic. There are certainly some “gotchas” one needs to beware of. Oftentimes datacenter SSDs use model numbers, custom model numbers, and etc. There are a few major implications. Many of the datacenter drives are not reviewed by major sites and doing pre-purchase research can be a frustrating trip through Google. Look at pictures in the listing as label shots can make information clearer as to what is being sold. In the example below, we have a HP branded Intel DC S3500. One situation you want to avoid is purchasing drives that are locked to a given system type, unless you plan to only use the drives in that specific system. While putting the piece together we had issues with STECH drives produced for EMC and Hitachi drives produced for HP as examples where the drives did not work with our test beds. Otherwise, we did have lots of luck getting drives to work. As a rule of thumb, you can ask sellers and also check model numbers/ pictures of labels for server OEM markings. Some OEM drives also have variations in the SMART attributes they have available. 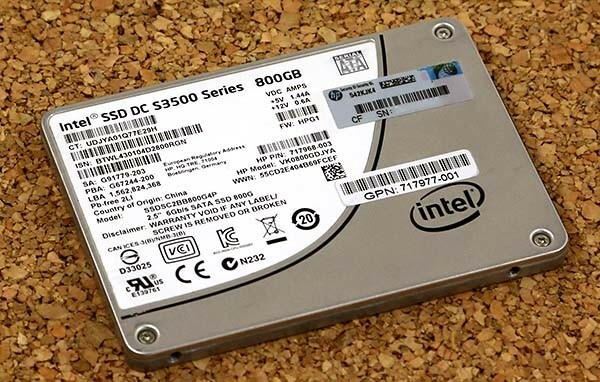 For example, the HP 800GB Intel S3500 above, and many other OEM S3500/ S3700 drives do not have a full compliment of available attributes as compared to their retail Intel counterparts. Generally this is not an issue, but note that there can be these types of differences for OEM v. retail models. While many consumer drives are purchased from Amazon and Newegg, datacenter SSDs are most often purchased with servers/ storage arrays. If one purchases a drive branded with a server OEM’s label, there is a good chance that drive has little to no warranty. The buyer will not have the original server so the server OEM will likely say the buyer is out of luck. Trying to claim warranty from the original drive manufacturer is futile as these companies keep track of which drives are sold at retail and which are sold to server OEM’s. A good rule of thumb is to check the serial number if one can see it on the manufacturer’s warranty page and also to look for server OEM markings. For example, if one sees Dell, HP, EMC, NetApp or others on the label, there is a good chance these drives have no warranty. We did have firmware issues that required two drives to be replaced. Since they were not server OEM drives, this was a simple affair. Generally the enterprise manufacturers will replace drives without a proof of purchase. One other aspect to look at here is how old the drive is. Some of the older SAS SSDs were produced in 2011 so now those drives are 4 years old. Odds are drives of that generation are going to be slower and things like capacitors and etc can start to fail over time. 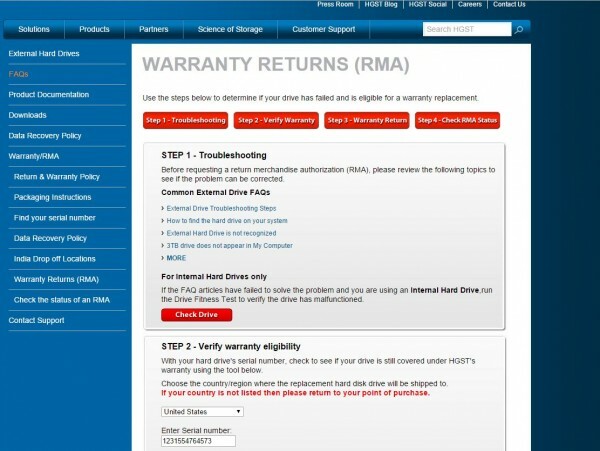 Certainly look at the date not just for warranty applicability but just as a general gut check. We recently had a reader purchase four Hitachi SLC SAS drives from 2011 off of ebay only to find three fail due to internal component issues. My rule of thumb has been: $0.50-$0.60/ GB maximum for high-quality SAS SSDs. Does this work every time? Absolutly not. There are many instances where these SAS drives have been purchased for less. The higher-quality drives. 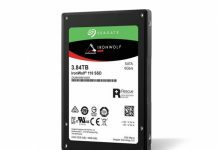 SATA one can generally get Intel S3700 class drives for no more than $0.50- $0.65/ GB (slightly more for 100GB drives) or Intel S3500 class drives for $0.30-0.40/ GB. If there is not a good reason to pay more, stick to these guidelines for the time being. Of course, for 40+ full disk write per day SLC SAS drives, one can pay a bit more but the general guidelines should hold. On pricing remember that a 400GB SLC (7-10 full disk write per day variety) SSD will often have a MSRP of $3000-5000 each. Enterprise discounts can easily reach 40-60% making these drives more likely purchased for $1200-$1600 each. Remember, if you are buying a 2 year old SAS SSD, it most likely had a decently hard life and is slower than a modern consumer SSD. You should get a discount for that. Have a seller convinced their MLC SAS drives are worth $4/ GB? Just remember, the Intel S3700’s are selling for around $0.50/GB with warranties that are still active and work reasonably well on SAS controllers. 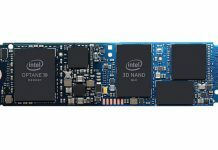 While there is a benefit to dual ported SAS, if one is not going to take advantage of those benefits, the Intel S3700 becomes very attractive again. Move on from sellers with an inflated view of their product’s worth. How do you find these drives? Check out the STH “Great Deals” forum. SSD deals are posted on a regular basis there. Oftentimes forum members get a deal using best offer then post the offer price that was accepted. That can take much of the guesswork out of best offers. One does need to check regularly though as drives can sell out very quickly once a great deal is posted. Bookmark this page and check once a day for best results. Sometimes there are few on ebay. Sometimes a provider will sell many drives. The forums are usually a good place to start though since it will save you a lot of time. Perhaps the most important step in getting a drive used is testing it immediately upon purchase. This guards against two potential issues: 1. DOA drives and 2. Drives that are system locked without notice provided by the seller and therefore unusable. Oftentimes used datacenter SSDs are purchased for enormous discounts but they have short return periods and warranties can often not be counted on. The good news is that if drives arrive, and work, then generally speaking they are able to work well for some time. The early failure DOA drives were weeded out by the original purchaser. Unlike mechanical hard drives, so long as the NAND is still OK and the drives are not so old that solid components (e.g. capacitors) are not broken, SSDs tend to live long periods of time. The top killer of over 300 lab and colo SSDs STH has used has been firmware corruption/ issues (by far) followed by the power surge in a Dell C6100 chassis which took out several Kingston drives across nodes at one time. 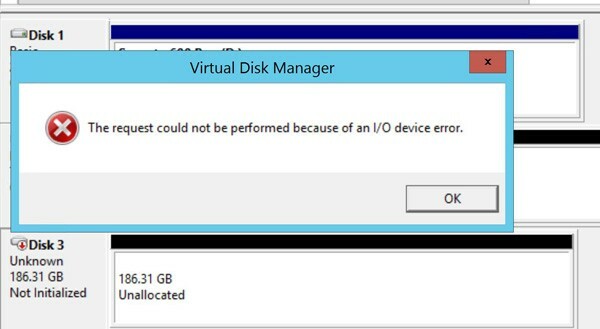 Luckily, the datacenter SSDs that were not DOA tend to have slower but reliable firmware. Mechanical disks still had components moving at 80-160 miles per hour driven by motors, bearings and other components that could physically wear out. SSDs tend to live longer in this regard. To sellers of used SSDs: ERASE YOUR DISKS! In our recent SATA/ SAS datacenter SSD series we have purchased close to 100 SSDs off of ebay through over forty sellers. Scientific data set size, likely not. But there is a very common problem we have seen. We have kept a count of drives which came new and used. The used drives have oftentimes had data still accessible on them. These drives were not encrypted and one could easily access data on them. Luckily for the sellers we purchased from, we always were looking to immediately secure erase drives prior to testing but it is amazing how many drives came without being wiped first. Forget any fancy data deletion programs, these drives had raw data that one could access in seconds using either a Linux or Windows PC. As one can see, the sheer quantity (37 for those wondering) was astounding given this is not the mid-90’s where that was a more common practice. It did seem as though drives that were sold by used IT resellers had a much higher chance of having their data deleted prior to sale while drives sold by private parties almost always came with data intact. These drives are not average consumer drives so these are likely more sophisticated buyers and sellers than we are used to seeing in traditional markets. Now for the elephant in the room, does it make any sense to buy datacenter SAS SSDs? For multipath I/O and HA setups where dual ported SAS drives are required, then consumer SATA SSDs simply do not work. For some applications, such as ZIL drives or other write heavy applications, SLC drives are generally SAS so that can be a consideration, as can be cases where > 6.0gbps is needed per drive. 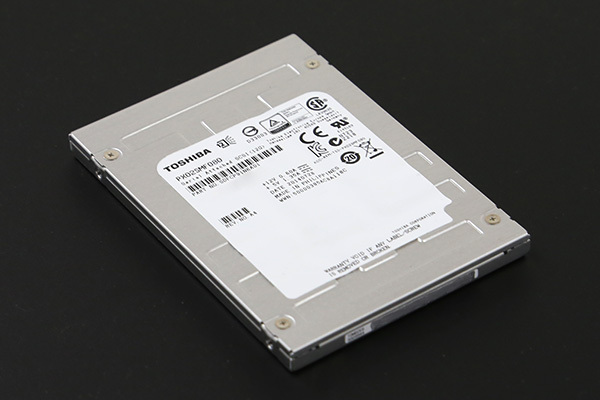 The Toshiba PX02SMF drives we tested (400GB and 800GB) were able to reach over 1GB/s in single port 12gbps SAS modes. Power loss protection and well tested firmware are two features that help people sleep at night and therefore may be reason enough to buy datacenter oriented SSDs. Of course, for read heavy applications with smaller data sets, the consumer SATA SSDs do have some compelling offerings at low price points. We are not going into that debate in this Buyer’s Guide but it is worth noting. What we can say is that these types of SAS/ SATA drives are within reach of normal consumer pricing if purchased used. Thanks for the tips. I’ve been turned off on HA SAS because of the cost but this is like 1/8th of new. Thanks for guide man. I got a 400GB SanDisk SAS for $225 this morning. Dual port too. Too bad there aren’t a lot for sale in Europe. Getting one from the USA and the possible addition of import taxes makes it less attractive for me. Import taxes are about 100+ USD on average. Hmm, I commented here earlier today and it showed as well. Anyway, as a non-USian I need to pay about 100 USD import taxes. That’s makes a drive quite a lot more expensive. And here in Europe there aren’t a lot of drives on ebay. At least not for reasonable prices or brands. @Tom: Stop whinig, what do you expect STH to do? GTFO of Europe or vote for a non-communist government if you want to avoid taxes. Must read. Often times, the enterprise grade drive cages are older and do not support the 4kn native block size, but only 512 or another variant. The article “How to reformat HDD & SSD to 512B Sector Size” provides tips on changing the firmware entirely.